野生動物園(Wildlife Safari Park): 16406 292nd Street, Ashland,位於奧馬哈以西, 包括麋鹿, 馴鹿, 野狼, 美國野牛, 老鷹, 濕地動物, 農場動物等. 航太博物館(Strategic Air and Space Museum): 28210 West Park Highway, Ashland. 展示美國空軍軍機以及核子飛彈. 奧馬哈兒童博物館(Omaha Children's Museum): 500 South 20th St. 展區包括創意藝術區, 科學科技區, 科學秀, 兒童遊戲區, 兒童戲水區等. 杜罕西部遺產博物館(Durham Western Heritage Museum): 801 South 10th St. 展示美國西部拓荒歷史相關文物. 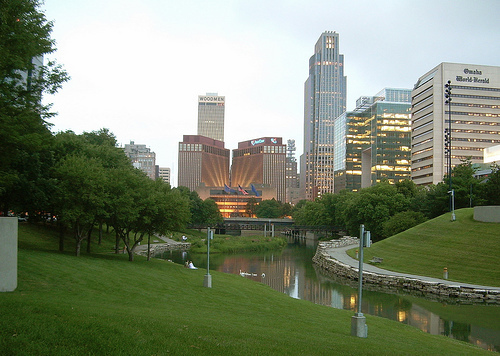 金利西公園(Gene Leahy Mall): 1302 Farnam. 提供奧馬哈市民綠色空間, 蜿蜒小河及河濱綠地穿越奧馬哈市中心. 老市場(Old Market): 10th St., 14th St, Farnam St., Leavenworth St. 為界, 為奧馬哈美食, 藝術和購物街. 西街購物中心(Westroads Mall): 10000 California St. 內布拉斯加州最大的購物中心, 包括一百三十五間商店和電影院以及百貨公司J. C. Penney, Younkers. 像樹景購物中心(Oak View Mall): 3001 South 144th St. 購物中心內包括一百多間商店以及百貨公司Dillard's, Sears, J. C. Penney, Younkers.